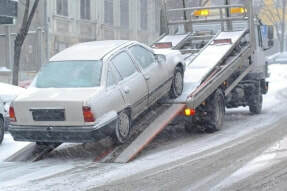 A well respected and trusted towing service should provide you with more than just a simple tow to a repair shop. Rather they will provide you with a host of roadside assistance services that either get you safely back onto the road as soon as possible or they will provide you with a tow to your required destination. That’s exactly what Peoria Towing Service does for clients in trouble. We are a towing service you can count on to provide you with high quality service with state of the art equipment. Our drivers have a clean record and they understand that rapid response is needed to make clients feel a high level of comfort using the service. We don’t keep you waiting by the roadside when you need emergency help for your car or truck. 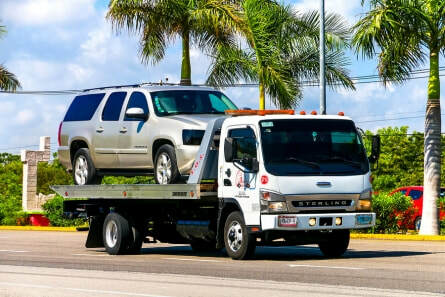 Breakdowns never happen at a good time and you need a towing service that is reliable and understands you don’t have time to waste or lost drivers or inexperienced ones who will further damage your car or truck than it may already be. We are a family friendly and budget friendly service for our community here in Peoria, as well as those passing through our area. Peoria Towing Service is a leading service provider in the area and we will tow you to the nearest repair shop or provide you with quick repairs that get you back on the road again. It doesn’t matter where you’re stranded because our drivers have deep knowledge of the area and they have extensive expertise in a variety of car models. We strive to always Operate our towing business in accord with the highest standards of ethical conduct. Treat each customer who asks for our towing or roadside services and team member in a fair, open, and honest manner, and fully comply with all laws that prohibit discrimination, treat one another in the way we would want to be treated. Meet the tow needs of our customers in a knowledgeable and professional manner and answer all of your questions. Advertise our products in a positive, factual, and informative manner, and uphold our promotional discounts as they apply for tire changes, jump starts, tows or fuel delivery. Detail charges to assist our customers in understanding the work we provide and provide written estimates of any service work the customer may request performed, upon request, or as required by law. If we cannot service your vehicle, we will service you by referring you to someone who can help. Call us today, give us the opportunity to earn your business. We have a host of towing and roadside assistance services we provide whether you call us at midnight or twilight, sunrise or sunset. Peoria Towing Service Peoria Towing Service has a large fleet of towing vehicles that provide you with options for transporting your car or truck safely. We ensure that your car or truck does not experience any further damage in our care than it already may have sustained. That’s why we have a variety of vehicles to ensure you have options to select the right vehicle for the task. 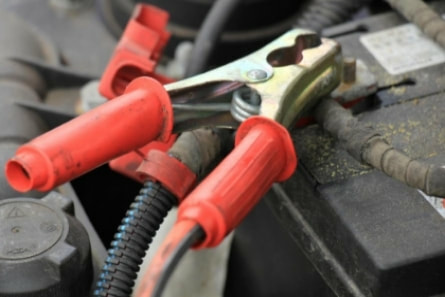 We offer fuel delivery, jump starts, tire changes in addition to our 24/7 towing service. Whether you’re on two-lane blacktop or a huge superhighway, you need to get your car as far out of the way as possible. If you can put the flat tire on the side of the car facing away from traffic then you’re already much safer than you were where you started. Turning on your hazard lights will let other drivers know there’s something wrong, but that’s just a start. Portable road cones or signs to help direct traffic into the lane away from your car are needed and road flares help. This lets other drivers know to give you room to change your tire as safely as possible. Before you can change your flat, you need to jack the car up. The jack needs to be set against the frame of the vehicle to bear the weight, and it also needs to be set on flat ground that’s sturdy. If you jack your car up at an angle, the jack will likely slip and could cause severe injury! Or costly mistakes can cause your car could roll backward, or down an incline. These risks are bad enough even in normal circumstance, but on a busy road they can get even worse, they can be deadly. It might seem like common sense, but if you’re changing a flat tire on a busy road you need to be aware of the traffic around you. No matter how many careful you are or what signs you put out, there is always a danger as long as there is any movement around you and your vehicle. If you have someone with you it’s a good idea to have that person act as a lookout. When your car or truck has trouble on the road from a breakdown, a flat tire or you’ve been locked out of your vehicle, there is a trusted service that will provide you with roadside assistance 24 hours a day, 7 days a week and in emergencies. 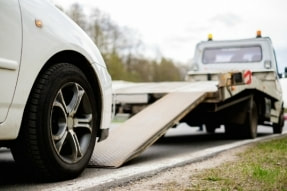 Accidents and breakdowns occur at a moments notice and just cannot be predicted but there is a service that is ready and waiting to provide you with excellent towing or roadside assistance you can trust. Your car or truck could likely be damaged if it’s in a tight spot and it needs towing so hiring a towing company with the right equipment is critical. We have medium duty tow trucks that provide the accurate kind of maneuvering you need to prevent damage to your car or truck. There are a variety of vehicles we can assist by using this specialized type of vehicle for transporting or recovering your car or truck. Just give us a call today for enquiries. 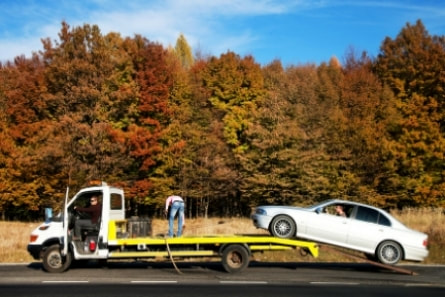 Flatbed towing is a safe and efficient method for transporting your car or truck. This is especially true when you’re worried about encountering reckless drivers or bad weather that can so easily influence how your car or truck is transported. If you’re seeking a safe and reliable method of transporting any kind of vehicle, give us a call for flatbed service because we have a large fleet of trucks with state of the art equipment attached. We are fully licensed, bonded and insured to transport vehicles. ​“We were at the mall last year and we needed a jump start. The battery died and we thought for sure we would be stranded, but a driver came so fast we hardly had time to really panic. We were so happy to see him.” – Roberta S.
​“I had a flat tire by the side of the road and no one ever stopped to help. But it didn’t matter because I searched online and quickly found Peoria Towing Service and they came really fast to repair my tire.” – Kendra W.
​“We use Peoria for their snow removal. We have a pretty big parking lot for our customers and we just don’t have the resources to buy really good equipment for snow removal like they possess. So we found it’s far more simple to call them and they get every bit of snow removed to keep it safe for our customers.” – Brian J. 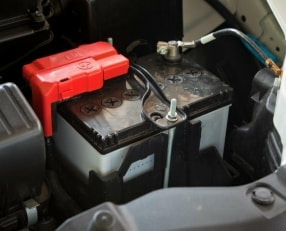 Stuck in a parking lot or in the middle of a deserted road or anywhere else with a dead battery is stressful. But you have a great resource for a jump start when you call our services. Maybe you already have jumper cables but without another vehicle to assist, it’s almost like you don’t have equipment. And , safety should always be a priority! Call us or message us on social media and we will dispatch a driver immediately to your rescue for a jump start. 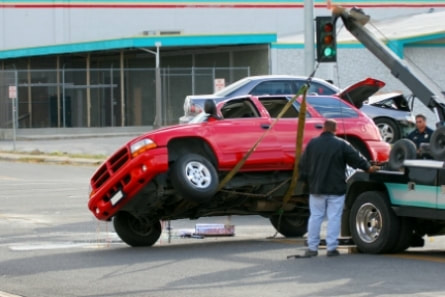 Accidents and breakdowns are not easy predict nor do you know the day or the hour they can happen so it’s a wise strategy to always be prepared with the number of a top rated towing service that offers roadside assistance. We provide customers with roadside assisting 24 hours a day and 7 days a week. It doesn’t matter if it’s summer solstice, Thanksgiving or any other holiday, we can assist you because we’re always open and available to send a driver to your rescue. Our region receives a great deal of snowfall and it’s not always possible to remove it on your own for a number of reasons. Perhaps you just do not have the energy or the strength or the time. So it’s nice to know there is a service you can depend upon whenever snow arrives that they will remove it. 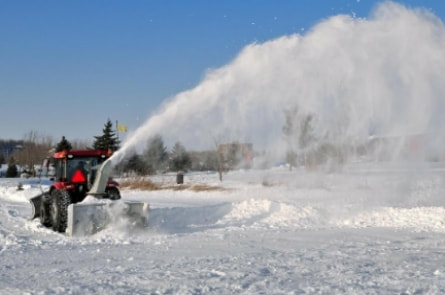 Peoria Towing Service removes snow from commercial and residential properties with quick and efficient results, whether you have a parking lot or a private driveway or a big shopping mall area, we can assist you with snow removal. An authorized emergency vehicle under Scott's Law, includes ANY vehicle authorized by law to be equipped with oscillating, rotating, or flashing lights under Section 12-215 of this Code, while the owner or operator of the vehicle is engaged in his or her official duties. Scott's Law was named after Lieutenant Scott Gillen of the Chicago Fire Department who was struck and killed by an intoxicated driver while assisting at a crash on the Dan Ryan Expressway. proceed with due caution, yield the right-of-way by making a lane change into a lane not adjacent to that of the authorized emergency vehicle, if possible with due regard to safety and traffic conditions, if on a highway having at least 4 lanes with not less than 2 lanes proceeding in the same direction as the approach vehicle. proceed with due caution, reduce the speed of the vehicle, maintain a safe speed for road conditions, if changing lanes would be impossible or unsafe. 2 years if the violation results in the death of another person. ​We are always available to help customers day or night, 24 hours a day, 7 days a week because there are few things more troubling than being stranded on the side of the road with no one to call or help. Good Samaritans may never stop and even if they did, they may not have the equipment you need to give you that jump start or flat tire repair you need. That’s why you can call us, email us, and reach us on social media to assist you. We make ourselves readily available to help drivers in need so they don’t have to stress about calling family or friends in the middle of the night or in the middle of their dinner time. ​In 1915/1916, Ernest Holmes, a mechanic from Chattanooga, enlisted six men to use ropes and blocks to tow vehicles. He determined later that they could tow cars easier by using a truck that was flat on the cargo end, hence coming up with the flatbed truck. Then he invented a type of crane that could lift cars that had been in accidents onto his tow trucks. In His hometown, There is a Museum dedicated to the history tow trucks located in Chattanooga, Tennessee. The International Towing and Recovery Hall of Fame and Museum displays restored antique trucks, wreckers, tools, even other equipment, as well as pictorial histories of the industry Holmes created. They also keep most of us in this line of business updated on current events in the industry, and they help raise money each year to help prevent accidents and loss of on the road. Many law enforcement officials credit tow truck owners and operators for keeping traffic moving along better. They keep the streets free of cars blocking major traffic areas. 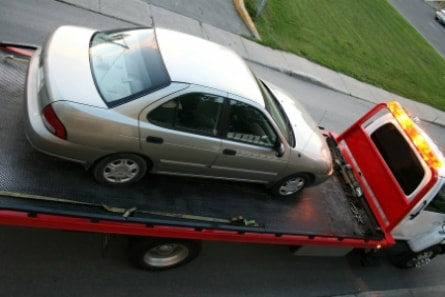 Flatbed tow trucks are the most commonly used in the United States. It is less likely the customers property will be injured, and flatbeds are more efficient in many situations. The average operator of US owned towing trucks works at only an estimated 5% profit margin. That means that for every $20 in gross revenue our customers pay, our profit is only 1$, the other 95% of that revenue is going towards your trucking expenses as a basic estimate. These include things like truck payments, maintenance, fuel, insurance, permits, and hourly pay for some staff. The military actually deploys tow trucks and wreckers for recovery of stranded vehicles. In the US Army, a type of the HEMTT truck is commonly used for this, called the M984 wrecker. For recovery in combat situations during combat many armies with large vehicle fleets also deploy heavy duty armour wrecker or tow trucks.These vehicles handle a similar role, but are resistant to heavy fire and capable of handling rough terrain with their deep tracks, and can manage towing vehicles beyond the weight limits of wheeled wreckers, such as tanks as most are based on tank designs for this reason specifically.